Complete set of all available lessons. 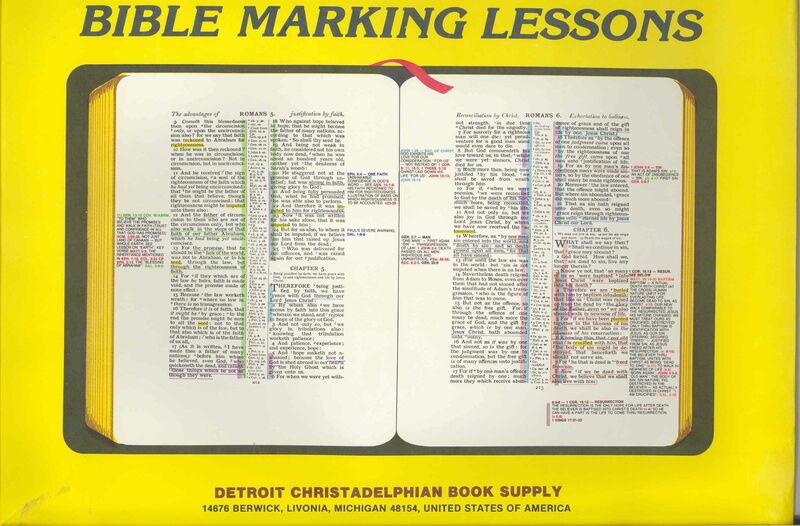 Lessons are printed in color showing how to mark the lesson properly in color in your Bible. Revised Color scheme matches most of the Bible Marking Books found on this website. Complete with intructions and indexes. Lessons are being revised and reprinted as needed. Worksheets for youth circle, Sunday School and Home Bible Class available separately. Revised into simpler English for young people, the system of colors revised to fewer colors with logical groupings, Bible Marking techniques revised to make it easier to use in the field.